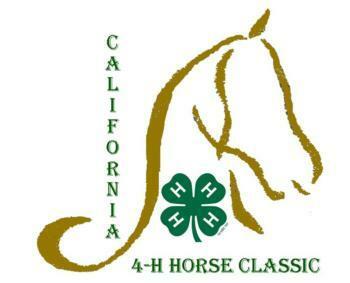 The California 4-H Horse Classic offers 4-H members the chance to showcase the culmination of their efforts put forth in their equine projects throughout the year. At the State Championship Horse Show, 4-H riders have this opportunity to compete at a level beyond local, county or regional events. Participants must pre-qualify at qualifying 4-H horse shows . June 30 th : Mini Horse and Gymkhana. New this year is that Mini Horse classes will need to qualify. Ranch Horse division classes to include, ranch horse trail, ranch riding pattern, modified reining, western riding and ranch horse trail. Will have high point and reserve high point as well.